When no two jobsites are alike and there are unrelenting elements to contend with, arborists need a brush chipper that doesn't just show up, but works. The Vermeer BC1500 brush chipper uses a precision-balanced 22.5 (57.2 cm) drum with two 5 x 8 (12.7 cm x 20.3 cm) A8 double-sided knives to chip through material up to 15 (38.1 cm). Powered by a Tier 4 final Cummins diesel engine, the BC1500 can handle the toughest of material with ease. 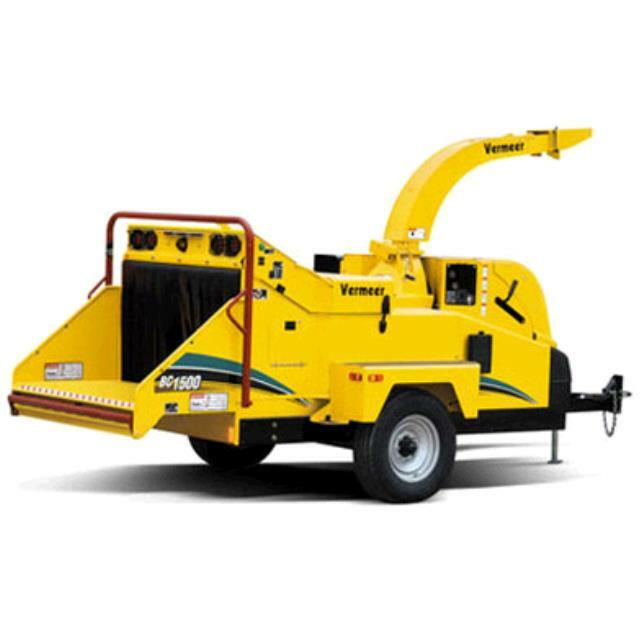 * Please call us for any questions on our chipper brush 15 inch rentals in Naples FL, serving Southwest Florida.